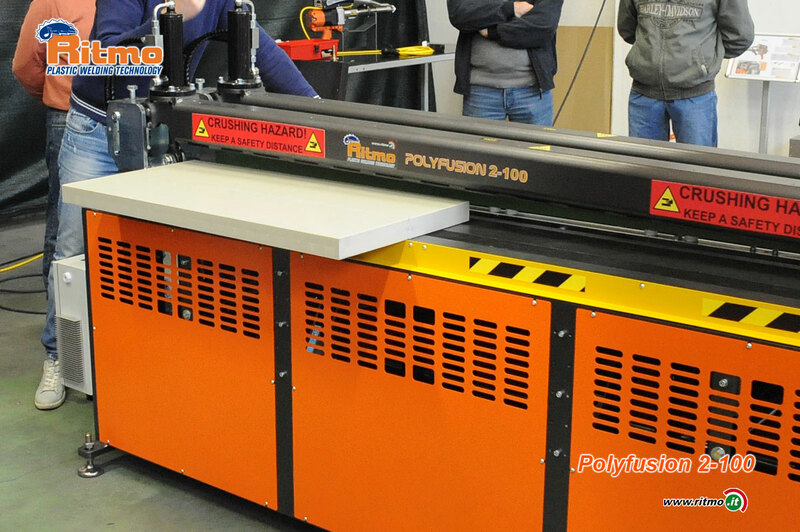 POLYFUSION 2-100 is a hydraulic welder for HDPE and PP sheets up to two meters wide and 3 mm to 100 mm thickness. The machine can also weld twin-wall sheets. 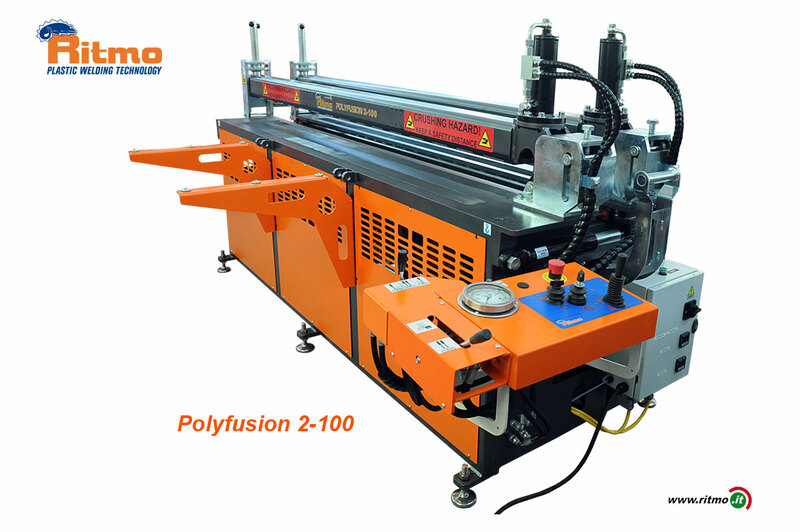 The sheets are fixed to the machine body by hydraulic arm; the locking arm has an articulated joint that allws its opening and the easy extraction of the welded sheets. 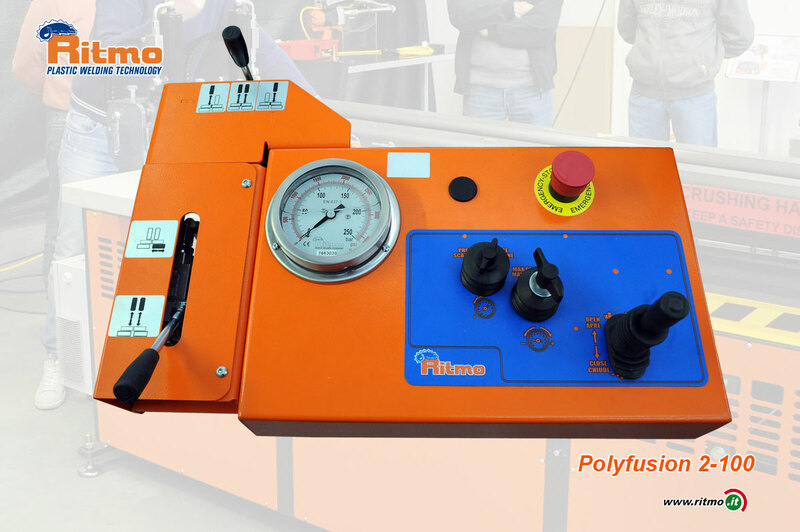 Circular welding is possible with an optional device, being the minimum achievable diameter of 500 mm with 12 mm thickness (Kit on request).